It just wouldn’t be Easter – or spring for that matter – without those iconic little marshmallow treats: Peeps. For 2018, Peeps is shaking things up though. There are a whole bunch of new flavors on the way for the chicks, including sour watermelon, fruit punch, and party cake. Target is carrying some filled Peeps options, as in their Neapolitan chick, filled with chocolate and strawberry. Apparently, Peeps are what’s for breakfast too. 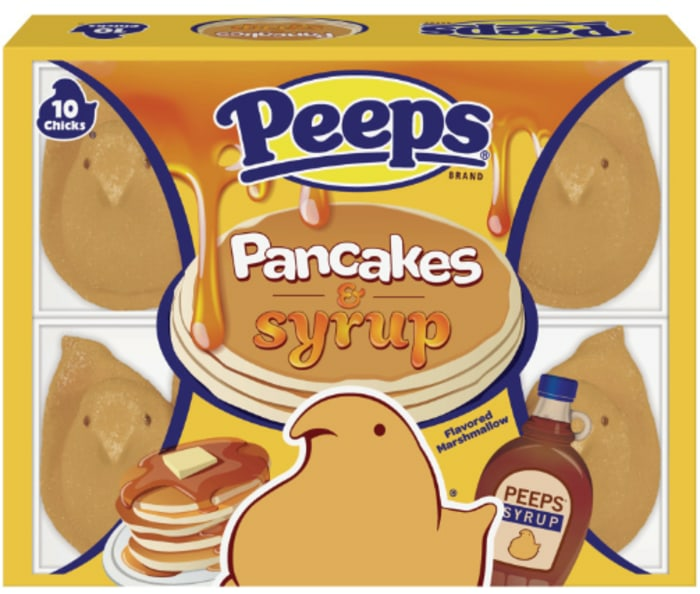 Kroger will carry the Pancakes & Syrup flavored treats. Really.